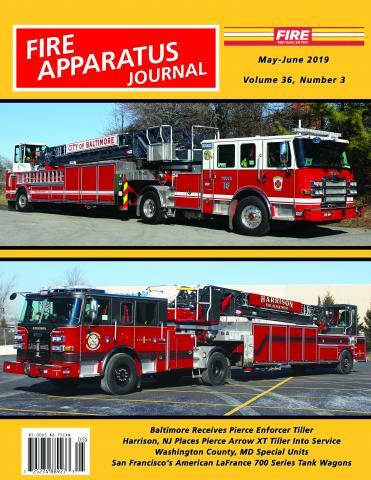 Metro Detroit by Dan Jasina | Fire Apparatus Journal Inc. The Metro Detroit Column reports on fire apparatus activities in Detroit, south Macomb County, southeast Oakland County and eastern Wayne County. The Detroit Fire Department operates 38 engine companies, 22 ladder companies, 6 squads, 8 battalions, 24 EMS units, a fireboat, an airport crash unit, a haz-mat unit, a TAC unit mini-pumper) and several reserve special units. The total Detroit fleet consists of about 250 vehicles. Of the forty suburban communities covered, fire departments range in size from two pieces of apparatus to twenty, with a wide variety of makes and models represented. This column keeps readers current on all apparatus news in the Metro Detroit area. The Metro Detroit update is written by Dan Jasina. Dan has been a fire buff and apparatus enthusiast in the Detroit area since 1981. His fire and apparatus photos have appeared in many publications. Dan is the photographer for the Madison Heights, MI Fire Department. He also writes and edits the monthly Box 42 Newsletter.